With so much content being shared and repurposed across many platforms, online marketers are catching the discerning user’s attention with a few tricks, namely the customization of content itself and how it is tracked and measured, and creating “sponsored content” rather than relying on consumers to spread the message on social media. Users know what they don’t want. Users are becoming more sophisticated, expecting access to vast amounts of information, anytime, and on multiple platforms. 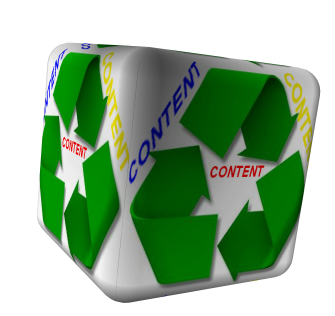 They also have a lot more say than before in shaping how content is delivered and consumed. We need to help [publishers and brands] understand what works and what doesn’t. Never before has our influence been greater. Now that our behaviors are being tracked and measured, it’s essential that we demand the best customer experience content marketing can deliver. Social listening out, content analytics in. How consumer behaviors are being tracked and measured is also changing. Brands had always been interested in learning about their customers, gaining insight from demographic data and purchase history. For a moment, it looked like social listening — where brands start to track and analyse what you are saying on social platforms such as Linkedin and Facebook — would supersede demographic and transactional data. Indeed, what we tweet often gives a fuller picture of our current contexts than merely our date of birth and address. At the same time, Rose argues, the profiles of ourselves we present to the world are hardly accurate reflections of our “true selves.” Those “curated selves” are merely who we want to be, not who we are. Whether you are browsing to kill time, entertain yourself or researching for a friend, what you are reading right now is incredibly indicative of who you are as a person and this is immensely useful for brands. “Sponsored content”: Effective if you target well and share generously. As for brands, it’s no secret that most consumers have taught themselves to tune out traditional advertising. Millennials won’t even look at the side bar in Facebook. As a result, brands have started creating unique content in an effort to appeal to their consumers interests and behaviors to get noticed. This too seems to be working. William Launder, who writes about the media industry for The Wall Street Journal, seems to agree. He notes that more marketers buy space online to promote “sponsored content” — ads disguised as blog posts and articles — “using the same kinds of automated trading platforms and other ad technology typically used for display ads.” “It is a more aggressive effort from past strategies of placing a story or video on sites like Facebook and hoping consumers share it with their friends,” Launder writes. The trick is, he says, to target the right websites and online publications, sharing generously on social media, while not relying on consumers to spread the message. As for the proven, lead-generating strategies, this one isn’t new: Post better content. Make it current and relevant, interesting and polished, and give extra.